New research just out in the journal Psychology and Aging says pessimists live longer and healthier lives. If this is true, then contemplating the future of anesthesiology ought to make us immortal, because our professional prospects don’t look bright. As we teach residents to do what we’ve always done, shouldn’t we ask ourselves honestly if we’re training them for a future that doesn’t exist? Especially here in California, it seems likely that our predominantly MD-provided, fee-for-service practice of anesthesiology will not survive indefinitely, and perhaps not for long. We can blame the reelection of President Obama and the passage of the Affordable Care Act if we like, but the reality is that market forces were eventually going to catch up with us whether or not Mitt Romney went to the White House. In a way, we’re the victims of our own success; we’ve made anesthesia so safe that everyone thinks there’s nothing to it. But that’s exactly the point. Technology has indeed made anesthesia much safer. When I started learning anesthesia, pulse oximetry and end-tidal CO2 monitoring were new to the market, unproven, and scarce. Now they’re everywhere. We fear the difficult airway less now that we have video laryngoscopes readily at hand. Since technology is so much better, why do so many of us still believe that every case requires the costly expertise of a board-certified anesthesiologist? We can make the argument that physician-provided anesthesia care is simply better, in the way that a $75,000 BMW is a superior product to a $15,000 economy car. But in a world of increasing pressure to control healthcare costs, people are willing to consider cheaper solutions, and therein lies our risk. Medicine isn’t the first business to be threatened by cost pressure and new technology. 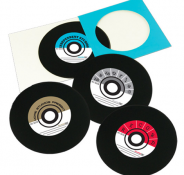 Look at what happened to vinyl records when CDs came on the market, and what happened to the demand for CDs when iPods and digital downloads appeared. Who could have imagined that the giant Eastman Kodak Company would crumble when digital photography killed the demand for camera film? People complained at first that the new technologies lacked the same sound quality or rich color, but as time passed the market no longer cared. Clayton Christensen, a Harvard Business School professor, uses the term “disruptive innovation” to describe how “complicated, expensive products and services are eventually converted into simpler, affordable ones.” In a recent Wall Street Journal column, Christensen and his co-authors argue that accountable care organizations, or ACOs, can’t make a dent in costs because they won’t fundamentally disrupt and transform the delivery of American healthcare. While many anesthesiologists agreed with that assessment, they were appalled by the authors’ recommendation that policy makers “consider changing many anticompetitive regulations and licensure statutes that practitioners have used to protect their guilds.” The authors praised California for enabling “highly trained nurses to substitute for anesthesiologists”–the last thing anesthesiologists wanted to hear. Has California’s “opt-out” changed the marketplace? In the years since 2009, when Governor Schwarzenegger signed the “opt-out” letter that freed California nurse anesthetists from the CMS requirement for physician supervision, many of us haven’t seen huge changes yet in the delivery of anesthesia care. Most California anesthesiologists still provide personal care, one patient at a time, and believe their hospitals, surgeons, and patients are satisfied with the status quo. One southern California anesthesiologist who coordinates anesthesia services for several hospitals recently hired his first nurse anesthetist to practice on her own, without any supervision. She works on a flexible schedule when he needs to staff an additional operating room with routine cases. He’s quite pleased with the quality of her practice and her work ethic, as opposed to some younger anesthesiologists he’s hired who arrive with a sense of entitlement and a list of demands. “She’s a lot less trouble,” the anesthesiologist says. Anecdotal evidence suggests that anesthesiologist pay in California is on a downward trajectory, perhaps because employers are aware that they could hire nurse anesthetists instead, and are bolder about extending low offers. An academic anesthesiologist, posting recently on the physician-only website Sermo, bemoaned the fact that an excellent resident accepted a job offer for pay that was barely above that of a nurse anesthetist. Anesthesiologists who want to work in desirable locations like the Bay area, work part-time, or work in surgery centers with no call and no weekends, appear to be willing to accept pay that no one would have considered competitive just a few years ago. Clearly, there are major fault lines beneath the anesthesia marketplace. Much as we may dislike Professor Christensen’s comment about nurse anesthesia, perhaps we should hear more about his theory of disruptive innovation before we call for his head on a pike. With co-author Jason Hwang, he wrote an elegant article for Health Affairs that examines the theory’s implications for health care. The traditional business model of hospitals and physician practices has been the “solution shop”–an institution created to diagnose and solve complex, unstructured problems, staffed by experts. This business model still works well for consulting firms and law firms, for instance. In medicine, the “solution shop” model evolved in an era when medical care involved minimal technology and relied upon the diagnostic intuition and hands-on experience of highly skilled physicians. 1. Value-added businesses: Like traditional manufacturing firms and restaurants, these businesses transform resources into outputs of greater value. They focus on process excellence and efficiency in order to produce high-quality products consistently and at low cost. 2. Facilitated user networks: These businesses deliver value and make money by facilitating the operation of a network and its user transactions. Examples are mutual insurance companies, stock exchanges, and banks. Instead, the authors suggest, we should separate the diagnostic and intellectual work of physicians (the solution shop) from the value-added processes of health care. In other words, it doesn’t make sense for me, as an expensive and highly trained anesthesiologist, to change the suction canister on the anesthesia machine, push the gurney down the hall, and watch the ventilator during a long, stable case. Those tasks could be done by someone else at far less cost, someone who wouldn’t be qualified to decide if the patient is in optimal condition for surgery or to formulate the anesthetic plan. Many of the predictable, routine processes of anesthesia care don’t require anesthesiologist-level training. If we could start all over again and develop the optimal model for delivering anesthesia care, what would it look like? I bet that it would have little in common with anesthesia practices today. If we let go of the idea that squeezing the bag in person is the only anesthesia-related activity that deserves compensation, then a world of possibilities opens up. 3. Personally provided care by a nurse anesthetist. When we look at delivery of care in different settings, it becomes clear how much irrationality there is to current practice patterns. Why is it routine for a cardiologist or a gastroenterologist to supervise a nurse who is administering sedation, but an anesthesiologist only supervises a much more expensive midlevel anesthesia practitioner or resident? Why is it routine for an ICU nurse to monitor a patient who is intubated and receiving medications like fentanyl, midazolam, and propofol, but the same nurse isn’t allowed to monitor the same patient the moment he crosses the OR threshold? Perhaps we need to change the conversation, and draw a distinction between “giving anesthesia” and monitoring patients. Consider the patients who need sedation in outpatient settings, cardiac catheterization labs, and gastroenterology suites, for instance. Envision a scenario where an anesthesiologist supervises several nurses who are trained to administer sedation. The anesthesiologist has evaluated the patients, and is capable of converting any case to deep sedation or general anesthesia if the need arises. We improve patient safety by eliminating the all too common crisis when the patient under sedation gets into trouble and an anesthesiologist must be paged stat from elsewhere in the hospital. We eliminate the chance of having a case canceled in midstream because the patient can’t be adequately sedated and “anesthesia” isn’t available. We provide better service to the hospital by taking responsibility for all these cases, and the problem of scheduling “anesthesia” for occasional cases disappears. Potential liability decreases for the hospital as well as the surgeon or proceduralist, and the cost is far less than it would be with an anesthesiologist or a midlevel anesthesia practitioner assigned to every case. Now consider patients who are having procedures performed under regional block with sedation. Once the anesthesiologist has placed the block, the patient has been sedated, and vital signs are stable, is there really a compelling reason why a sedation nurse could not monitor the patient with the anesthesiologist immediately available? Of course, under the current fee-for-service payment model, none of these options are feasible. Under an integrated care model, however, the facility could offer a reduced price for the entire procedure, which would include the anesthesiology and sedation services. We redefine the nurses’ role so that instead of “providing anesthesia” they are monitoring patients who are under the anesthesiologist’s care. We can envision an intelligently designed operating suite where the appropriate level of care is determined for each patient after evaluation by an anesthesiologist. Nurse practitioners or physician assistants would facilitate patient evaluation and throughput in the preoperative area, and assist anesthesiologists in the placement of regional blocks. Aides or technicians would facilitate room turnover, setting up fresh circuits, suction, and airway equipment. Staggered case starts would ensure that an anesthesiologist is present at the onset of each case, and then would delegate to the appropriate level of care for monitoring: a sedation nurse or a critical care nurse, for instance. Today’s technology can enable an anesthesiologist to view operating rooms and vital sign monitors from a tablet computer, and respond to any change in patient status. Anesthesiologists would provide personal care for complex cases or very high-risk patients, or might supervise a resident or a midlevel anesthesia practitioner. As radical as such a proposal sounds, it offers an alternative vision for redesigning the delivery of anesthesia care and reducing costs. It would free the healthcare system from being held hostage by expensive midlevel anesthesia practitioners who believe their training makes them equivalent to physicians. I would rather supervise a nurse who understands her boundaries, and summons the responsible physician appropriately for consultation and further orders. Our colleagues in emergency medicine, gastroenterology, and pediatrics sail into the dangerous waters of deep sedation with hardly a glance back, while anesthesiologists hesitate to make any change in practice to adapt to an increasingly competitive environment. Until anesthesiologists come to terms with the fact that the world around us is changing rapidly and our business theory is failing, there is little hope that our specialty will survive as we know it. Certainly any anesthesiologist is living in a dream world if he believes that he can infuse propofol to one patient at a time in a GI suite or outpatient center for the next 20 or 30 years, and continue to enjoy a handsome six-figure income. California anesthesiologists are understandably reluctant to embrace the anesthesia care team model if the only option is to work with nurse anesthetists. The American Association of Nurse Anesthetists (AANA) has clearly established itself as our opponent, and believes that there is no need for supervision by or consultation with anesthesiologists. The California Society of Anesthesiologists stands in support of state regulation that would enable anesthesiologist assistants (AAs) to practice in California. Hiring AAs would be an excellent option for any group seeking to move toward the anesthesia care model. As opposed to nurse anesthetists, AAs practice under the authority of the state medical board and must be supervised by anesthesiologists. However, there are not nearly enough AAs in practice or in training to fill the need for cost-effective anesthesia services. So we need to break the mold and look at different ways of providing anesthesia care, taking advantage of the technology that has made anesthesia remarkably safe. Sadly, some of the major barriers to our progress come from within. Leaders of anesthesiology groups tend to be near retirement age, and are more interested in protecting the status quo than in leading into the future. As Dr. Hicks of EmCare puts it, “Many anesthesia practices, like other medical practices and physicians in general, equate leadership with longevity and wisdom with accommodation.” Their resistance to change is driven by a desire to maintain political power and maximize current income. We have an opportunity now to accept the fact that the Affordable Care Act is reality, and to use its principles to create new models of anesthesia care. The ACA promotes increasing scope of practice, and we can capitalize on that to make better use of nurses and physician assistants to extend our reach. We can encourage them to expand their career horizons and to work with us in the operating rooms and procedural suites. Instead of using an earpiece to monitor the heart rate and respirations of one patient, we can use technology to supervise the monitoring of multiple patients. By reducing the number of anesthesiologists needed in any given surgical or procedural suite, we can enable the anesthesiologists of the future to practice as the specialists they truly will be. If I have any advice to give to residents today, it would be this: Gain all the specialty expertise you can. Do a fellowship; seek out the tough cases; differentiate yourself from a midlevel anesthesia practitioner. Use your specialist education to its fullest extent, and learn to work with other clinicians to manage the cases that don’t require your continuous expertise. They don’t need to know advanced interventional pain techniques or transesophageal echo in order to monitor a patient who is having a knee arthroscopy or an inguinal hernia repair. You can survive the winds of change if you’re well prepared and flexible. Too many anesthesiologists are in denial, and are irrationally optimistic that their current practices will never be at risk. In anesthesia, as in the rest of life, pessimists may be more likely to learn to survive. Christensen C, Flier J, Vijayaraghavan V: The coming failure of ‘accountable care’. The Wall Street Journal, Feb 19 2013; p. A15. Hicks M: Disruption and the theory of the anesthesia business. Anesthesia Business Consultants Communique, Winter, 2013. Hwang J, Christensen C: Disruptive innovation in health care delivery: A framework for business-model innovation. Health Affairs, Sept. 2008, vol. 27 no. 5; 1329-1335. Or, you could come to Canada. Where nurse anesthetists do not exist and there is only one model of anesthesia care: one-to-one with a physician anesthesiologist. One either becomes a GP (2-year residency) + 1 year of anesthesia training and does ASA 1 & 2 cases in a rural centre or does the full 5-year Royal College residency in anesthesiology and works in an urban centre doing cases of all complexities. Nurses cannot provide anesthesia anywhere in this country, although we do have AA’s to help with the monitoring of stable patients that you’re talking about. Good post, cheers. And unlike the perception of most Americans, Canadian physicians are paid very well, sometimes even more, than their counterparts to the South. This is nothing but outsourcing to the lowest cost “slave wages” that all the big corporation are doing. Thanks for your vision on the future of anesthesia. In your 3 models of anesthesia you left out one model that is both gaining steam and in my opinion, is the future of the field. That is the collaborative model. I assume you are familiar with it but for other readers it would, for example, be a group of 10 CRNAs providing perioperative anesthesia (and billing) independently with an MD collaborating with the group on difficult cases, preoperative assessment, pain management etc (i.e. all the areas MDs claim their training is superior). Allowing the CRNA to bill independently allows the MD to focus on the cases where they feel the attention of a physician is required vice being present for say, the placement of an LMA on an ASA 1 patient as currently required by TEFRA guidelines in the current ACT model. What is your opinion of this. Obviously it would eliminate the ability to double dip and bill for medical direction but in the end if cost effectiveness is what we are trying to achieve which is better? I welcome your opinion. I thoroughly enjoyed your article and will share it widely. 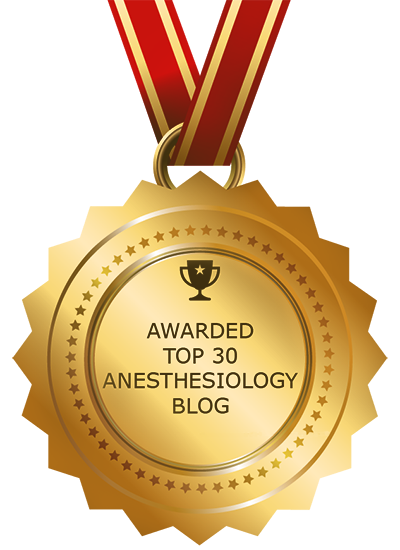 I agree with you that due to the increased safety of anesthesia today, anesthesiologists are not needed for the majority of sedation and anesthesia cases. I disagree that nurse anesthetists are trying to act like doctors. We are fully capable of recognizing our own boundaries and providing a safe, cost-effective, quality anesthetic for our patients. I fear you may have misinterpreted my opinions. 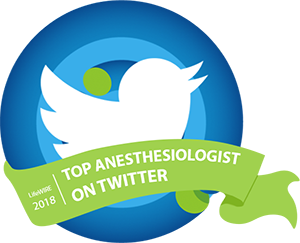 What I said, quite clearly, is that physician anesthesiologists do not necessarily need to personally deliver every anesthetic or sedative, one on one, as has been the model in the western U.S. The anesthesia care team is a safe and time-tested model for anesthesia care. I think that in the interests of cost-effective care, physician anesthesiologists should be able to expand their practice to supervise sedation nurses as well. Nurse anesthetists, in their quest for independent practice, are attempting to exclude physicians from the care team. This cannot be in the best interests of patient safety. I will continue to support nurse anesthesia practice as part of the anesthesia care team, and have worked with a great number of highly competent nurse anesthetists in the past when I worked on the east coast. However, I think that independent practice for nurse anesthetists is in no one’s best interests except their own. There is no evidence that this is improving access to care in rural areas. Medicine is above all a team effort. The ASA accepts this fact, and it would be lovely if the AANA would as well. Beautiful work! I have praised your print publications to you before, but previously did not know of your blog. I promise to spend many hours reading all you have on file! Thirty years ago proposing a lot of these same ideas got me pretty beat up! I hope times are changing enough that many more “followers” will listen to you than they did to me! My daughter is in her 3rd year of medical school to become an M.D. She’s considering anesthesiology, and I wonder if she should choose another specialty with all I am reading. Will anesthesiologists have difficulty finding positions in the future? I think there is room in every specialty for dedicated physicians. Today, every specialty in medicine faces its own challenges, and we will have to look to the next generation to develop new solutions. If you love a field, by all means go into it. In past years, I think some people went into anesthesiology who weren’t dedicated to it, but thought of it as a field with good pay and predictable hours. That is the wrong way, in my opinion, to choose your life’s work. A talented and determined physician will always find a position. Healthcare is one field in which, sadly, demand is always there. I wish your daughter all the best in her future career, whether that is in anesthesiology or elsewhere. Good write up. I enjoyed reading your article.you were in every way objective in your comments and emphasies for an all inclusive anaesthesia teamwork that is directed towards the birth of an effective and affordable anesthesia care.CRNAs total autonomy can actually mean a hasty search for a pin on the floor. Anaesthesiologist as the team head is not bad as i think.Because, no one person can be an island of wisdom and knowledge. Thank you for your nice posting.you love a field, by all means go into it. In past years, I think some people went into anesthesiology who weren’t dedicated.